Changing diapers is one of the most basic daily routines of having a baby. We all have the bulky diaper bags with changing pads or the travel diaper clutches to make life easier, but even these can be bulky and difficult when you are on the go. 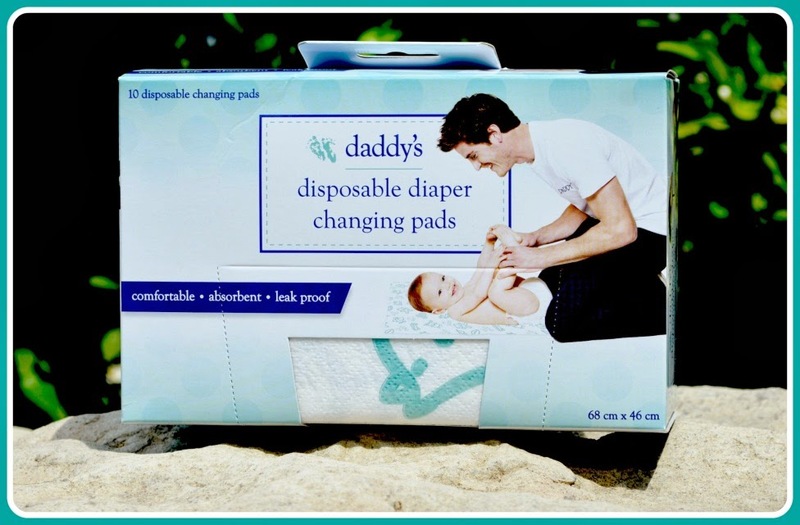 Daddy & Company’s disposable diaper changing pads ($7.95) are ideal for quick and easy diaper changes anywhere. We were recently at a cultural celebration with my son at a park when he needed a diaper change. As a part of the celebration, my kiddo was covered in colors that I didn't want rubbing onto his usual changing pad. These disposable changing pads were perfect for the occasion. We changed him on the grass and didn't have to worry about him or any of his stuff getting dirty. They’re extremely absorbent so I also wasn't concerned about anything he might do while I was changing him. It was fast, convenient and clean! I love these disposable changing pads because you never know what kind of environment you will be in and how clean things are when you need to do a quick diaper change. Many times I’ve gone to restrooms with no changing table and have had to use the car or gone to places with not the cleanest environment. These changing pads gives me comfort of knowing that my son is still being kept clean and sanitary for such a dirty job. The best part is that after I’m done, I quickly throw them out with the diaper and don’t have to worry about washing anything. These changing pads are perfectly sized so that they are big enough to fit him and do a great job, but small enough to fit any to go bag and take with you. It’s great for parents who don’t want to carry a large bulky bag everywhere. 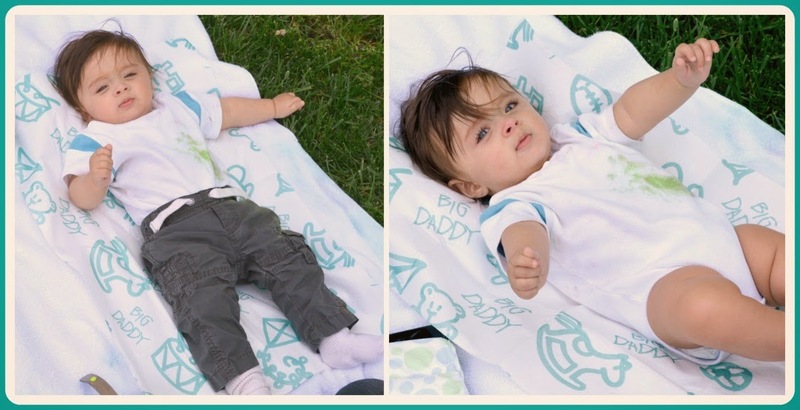 The Daddy and Company’s line has the most adorable designs and colors that make it a fun baby product, but also isn't too frilly for men when out and about on their own. This is one of those products that I highly recommend to make your life easier because you never know what to predict even at some of the nicest places. One winner will Receive Disposable Diaper Changing Pads! I love the Daddy Scrubs! I would like to have the Daddy Swag Gift Set! I'd love to have the daddy scrubs! The Daddy Swag Gift Set would be great! The Daddy Swag Gift Set is awesome! I love the daddy diaper pack camo... for me!!! I like the The Daddy Diaper Pack Camo Edition. But over the last few years, there has been a growing backlash against disposable diapers. Much of this has been driven by ever greater environmental concerns, but there now seems to also be a growing body of scientific evidence to support the 'cloth is best' movement.